LA Times is a perfect website for those looking for a fun puzzle to play online for free. We have a variety of mind-twisting puzzles to choose from! 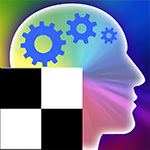 Start exploring many categories of puzzles to challenge a player of any age and game experience. First, we offer a traditional Sudoku and some of its fun twists: Diagonal Sudoku, MathDoku, and Penny Dell Sudoku. If you’re a fan of word games, you’ll definitely enjoy playing Outspell. People who think they know it all can test their knowledge by playing True?, a fast-paced trivia game. Those who are fascinated by matching should challenge their brain by matching colorful Russian nesting dolls in a game of Trizzle, or discovering the ancient Aztec puzzle in a game of Tumble Tiles. Finally, there’s always a new Jigsaw to solve online (choose one out of three difficulty levels). Do not forget to come back tomorrow for a daily update of The Daily Sudoku and The Daily Jigsaw. You can also challenge yourself and play mahjong games online and for free on our website.